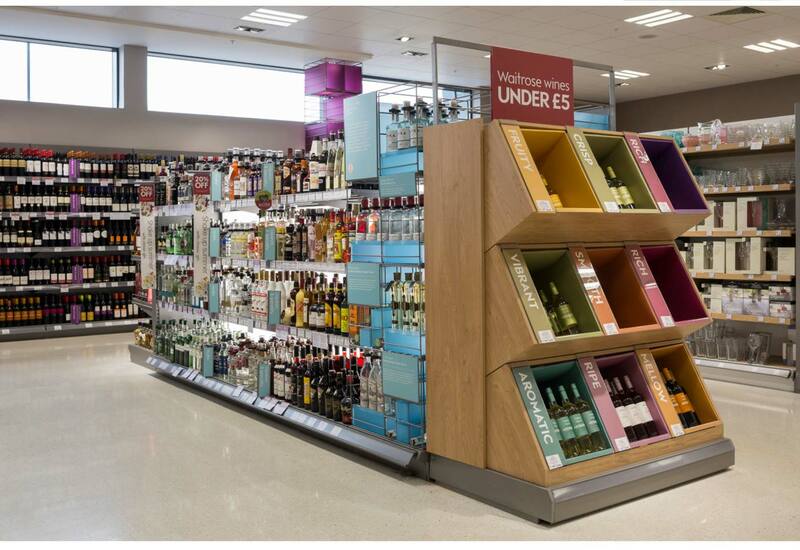 wanted a new approach to retailing their beers, wines and spirits, which would both engage the customer and help them to make an educated choice from an often overwhelmingly broad range. The solution was to introduce a sense of theatre and interaction into the shopping experience through instore experts and advisors, tastings and food matching, and through using the POS and brand communications to tell product stories. The POS offers clear information in an engaging and eye-catching format which resonates with a wide range of customers from those who have limited knowledge through to connoisseurs, and to guide and inform choices for shoppers who are searching for a specific item or who are making a selection driven purely by value. The POS system uses clear, simple language and information coupled with a distinctive colour-coding to guide customers through the department.